I used to be a teacher in my single days. I worked in an area of town that was ever-changing. Families moving in and moving out, rental property changing hands, children in foster homes or living with relatives. There were a few stable families - nice middle class families struggling to make ends meet on a daily basis. But most of my students' lives were in upheaval. The school district provided enough supplies to run my classroom, but I wanted more for my students. I wanted rewards and incentives, I wanted flashy and engaging bulletin boards, I wanted books they could devour and feed their interests with. So I spent my own money. A lot of it. In fact, the some teachers spend an average of $1,000 of their own money annually on classroom supplies. Yeowch! I could do that when I was single, but if I ever went back to teaching now that I have a family, I'm not sure I could part with that money. OfficeMax realizes that and wants to erase teacher-funded classrooms. 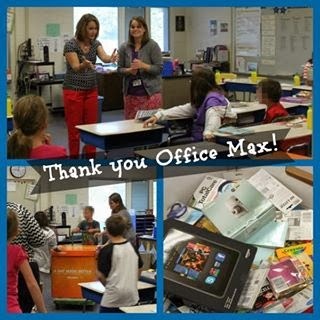 In fact, OfficeMax® joined with AdoptAClassroom.org to create A Day Made Better. For the past seven years on October 1st, they have surprised more than 1,000 teachers across the country with $1,000 worth of classroom supplies. And guess what? This year I got to be one of the people to deliver this awesome surprise to a very worthy teacher! 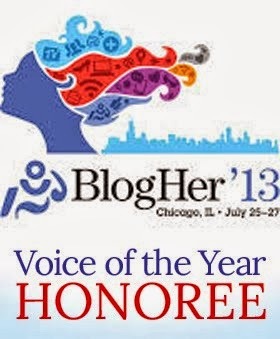 I have a wonderful friend that I met through blogging - Courtney from the blog Our Small Moments. She is sweet and smart and creative. She also happened to lose her husband to cancer about a month ago, and is now teaching and raising her two young children on her own. I loved being able to surprise her with all of the awesome loot. Her students were so excited - and so good! They handled the surprise really well. This will really help ease Courtney's mind. She can do her job without worrying about taking money out of her own pockets that can go toward paying Scott's medical bills and saving for her children's future. She was shocked and thrilled and so sweetly speechless. This gift definitely went to a worthy teacher! And seriously, because of their generosity in realizing how important teachers are, I am doing all my shopping at OfficeMax from now on!! OfficeMax donated the classroom supplies that I received and donated to the teacher. Opinions expressed in this post are 100% my own. I have not been compensated for this post in any other way.